The name of Jean de Reszke conjures up a world of operatic legend. If you haven't heard it, or know about the most famous tenor before Enrico Caruso, you've missed something. Like Placido Domingo, De Reszke started as a baritone and then began singing tenor roles. Trained in the Old School by Antonio Cotogni and Giovanni Sbriglia, he didn't excel in the Italian repertoire as much as he did in French opera and Wagner. Sadly, his singing was only captured on three Mapleson Cylinders. Listening to them (see the utube video below which was taken from a radio broadcast) is not unlike hearing someone singing on a subway platform during rush hour—the background noise is overwhelming. However, for those with patience and ears to hear, the glimmer of a voice can be heard through all the crashing and popping. If we can't get a full sense of De Reszke's singing, we do know quite a bit about his teaching which survives in a number of places, the most authoritative being an appendix in a biography by Clara Leiser—Jean de Reszke and the great days of opera (1934). Appropriately titled Jean de Reszke's Principles of Singing, and written by De Reszke's accompanist Walter Johnstone-Douglas, it outlines the great tenor's teaching in seven elegant pages. Another source is Finck's Success in Music and How it is Won (1909). A third is a curious book titled Jean de Reszke teaches singing to Edith de Lys (Edith de Lys was the stage name of Rose Ely from Boston). While some have questioned whether this photocopied pamphlet reflects the great tenor's teaching (published lesson notes with great teachers are unusual), my observation is that it has all the signs of being exactly what the title suggests that it is. A fourth source is the appendix to The Pursuit of Perfection: a life of Maggie Teyte (1979) by Garry O'Connor which contains De Reszke's vocal exercises. One last source, which presents context for most of this information is an excellent article by Voytek Matushevski—Jean de Reszke as Pedagogue: His Ideas, Their Development, and the Results—which appeared in the Opera Quarterly, Autumn, 1995. To get the maximum amount of "forward" tone to the voice, which he deemed "essential," it was his plan to imagine that you were drinking in the tone, rather than pushing it out. This idea encouraged the palate to draw back and give timbre to the voice, while it helped the tone to find it's way into the true mask, whereas an attempt to push the tone out often results in a nasal tone, though when the voice is in the right place the tone seems to be resonating right on the hard palate, by the front teeth. This apparent paradox was often misunderstood by those who criticized his teaching without knowing it. Interested readers may find De Reszke's biography as well as the other sources above at Abebooks (see the link on the right side of this page). Those who would like to download the essay on de Reszke's teaching (Jean de Reszke's Principles of Singing) could also search the JSTOR database at a major library. Those curious enough to hunt down this information will be rewarded with a unique perspective: I can't think of another singer's teaching which aroused so much interest in his own time with the exception of Lilli Lehmann. 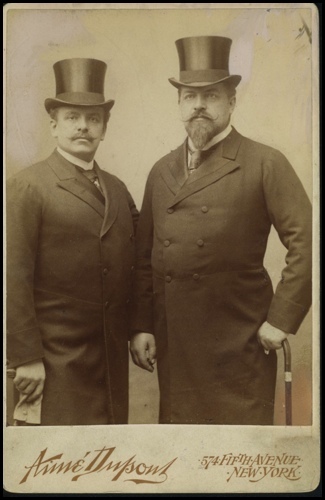 De Reszke epitomized everything that late 19th century audiences worshiped: elegance of voice and physical bearing. He was the brightest star of the operatic firmament. I have read two books, one by Marjorie Montell "Montell Vocal Technique" and the other by a Dr. James Myron Holland "Singing Excellence and how to achieve it". They explain Jean de Reszke's vocal discovery concerning the power of raised ribs and in particular a place on the 7th rib that was suppose to give some sort of automatic posture to the body and a miraculous effect to the voice. Quite interesting. David- Thank you for your comment, and the books! Very much appreciated. Hi Daniel, I got your book on Kleinn´s method. You did a great job! I am so glad to have this book on my Vocal Pedagogy library.